Sound Pollution: What is it? Next time you visit a Michigan state park or natural area, I challenge you to stop and listen. You might hear bird songs, flowing water, or leaves rustling in the wind. But wherever you are, you’ll most certainly hear some human sounds as well: cars rushing down a freeway, planes soaring overhead, or industrial machinery in the distance. Sound pollution isn’t just a Michigan problem—in fact, silence all across the United States is disappearing. According to audio ecologist Gordon Hempton, there are fewer than a dozen silent places left in the US, and none in all of Europe. While we are often concerned with the demolition of West Michigan wildlife and natural habitats, we should also consider the ways in which West Michigan’s people auditorily steamroll the natural sounds of our environment. A quick visit to one of our many parks confirms the severity of such concerns. Grand Haven State Park is plagued by traffic and RV noise, Millennium Park by loud foot-traffic and nearby industries, and even the depths of Rosy Mound Natural Area suffer from plane traffic overhead and roaring boat engines. Soundscape Ecology, a term coined by music composers R. Murray Schafer and Barry Truax, is a field of study that focuses on the ways in which human-made sounds, or anthropophony, interact with those of the earth (geophony), and other organisms (biophony). Within that field, scientist have begun to notice detrimental effects on bird populations. “Research has shown that excessive noise levels cause bird populations to shift. And there’s strong enough research out there to suggest that sound mitigation is wise,” said Darren Proppe, professor of Biology at Calvin College who has furthered research of acoustic, or soundscape, ecology by field testing in Grand Rapids and at the Au Sable Institute of Environmental Studies in Kalkaska County, Michigan. The sound spectrum consists of a limited number of frequencies—from low rumbling trains to high-pitched dog whistles. As this spectrum becomes saturated, communication becomes more difficult, like trying to talk to a friend in a crowded room. If you need to communicate, but the loud background noise prevents you from speaking at a conversational level, what can you do? If the room were filled with other people talking (which occupies a similar frequency to your own voice on the sound spectrum), simply raising the pitch of your voice might help it cut through the din. However, if all of the frequencies of the spectrum were occupied, say by a rowdy bar band, raising the pitch of your voice would do you no good, so your only choice would be to yell. Birds, unlike humans, practice acoustic partitioning—they find ways to fit into the spectrum without disturbing other species. Humans have a tendency to aggressively saturate the spectrum, which puts some species at risk. Some animals have specific ways to deal with this acoustic overcrowding, but human noise is often so intense that the coping mechanisms fail or backfire. Several scientific studies, similar to those done by Dr. Proppe, found that urban dwelling birds often face the similar decisions. The higher pitched and louder birdsongs that the males must produce to be heard are interpreted as reproductively disadvantageous to females, which lowers the species’ chance of successful repopulation. Other species rely on natural, quiet soundscapes to navigate or to identify predators, so noise pollution creates stressors on them as well. For many bird species, urban environments can become acoustic traps. Local musicians are also finding unique ways to discuss these issues. 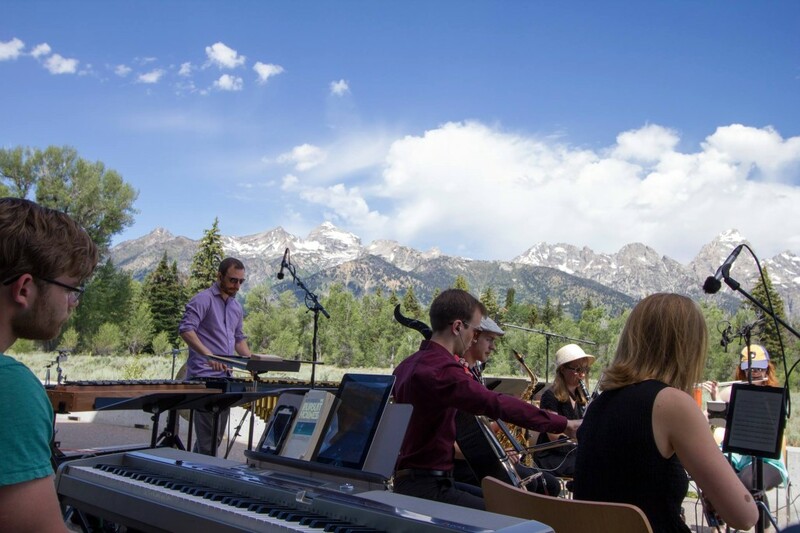 The Grand Valley New Music Ensemble, composed of director Bill Ryan and a collection of student performers, recently commissioned eight new works that reflect on the National Parks. This ongoing National Parks Project, supported by the National Endowment for the Arts, includes music that manipulates, recreates, and comments on the soundscapes in remote areas of the parks. 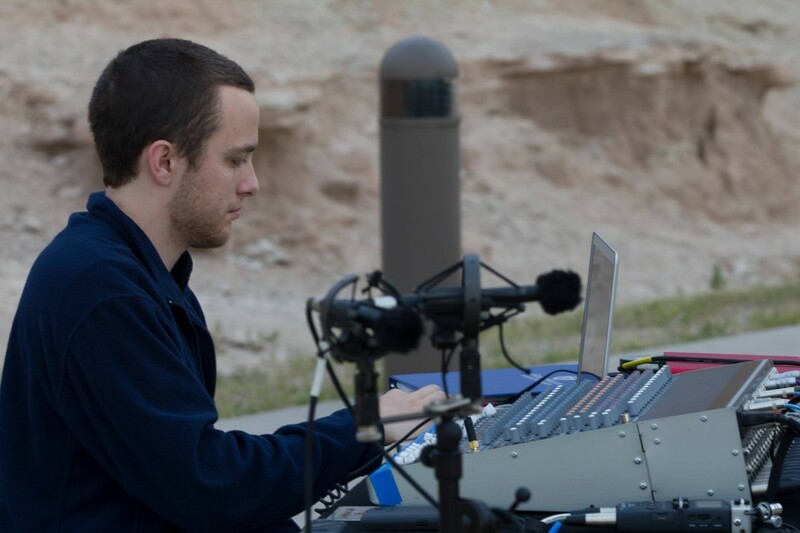 “Red Vesper,” by Michigan native David Biedenbender, is a piece from the project that incorporates recorded sounds from the National Parks that the ensemble has visited. These works can have a profound effect on listeners by identifying the beautiful sounds that will disappear if they aren’t defended. Becoming cognizant of noise pollution is an important facet of enjoying our natural world. The National Parks Service cites “park overflights…expanding energy development, [and] greater numbers of park visitors,” as some of the threats to the tranquility of our parks. The ability of visitors to enjoy culturally and environmentally significant phenomena in the parks is diminished as man-made sound consumes the sound spectrum. Furthermore, acoustic tranquility is an important aspect of mental health. 72% of Americans say one of the most important reasons for preserving national parks is to provide opportunities to experience natural peace and the sounds of nature, according to the National Park Service. And an article published in the scientific journal Environmental Health Perspectives states that excessive sound exposure can lead to hearing impairment, hypertension and ischemic heart disease, annoyance, sleep disturbance, and decreased school performance, which further reinforces the importance of accessible, tranquil environments for ourselves and future generations. Individual action to create healthy acoustic environments may seem ineffective since the problem extends far beyond personal noise production. However, like waste reduction, nonrenewable energy consumption, and other systemic environmental issues, Proppe suggests that change begins with individuals’ acoustic consciousness.